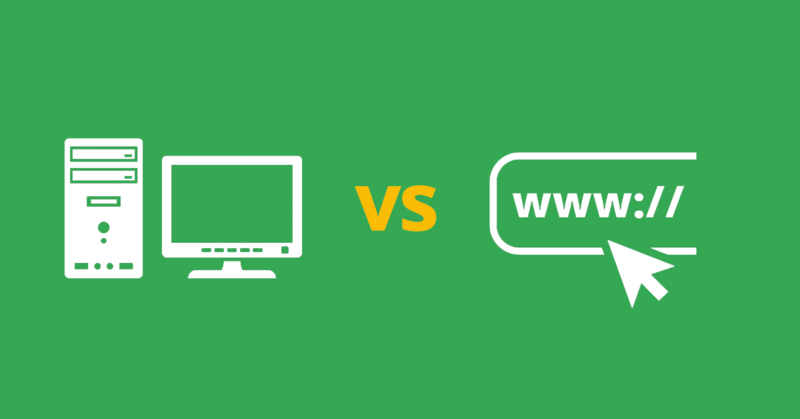 Do you believe that web based applications are better than desktop ones? The truth is, they aren’t. Here are five important facts that will completely change how you think about desktop applications. The rest of this article explains each of these points in detail. There is no denying it: we live in an interconnected world. Wherever you look, whatever you do, almost everything works online. And, this inter-connectivity has huge advantages, of course. You can take your favorite tools and games on the road with you. All you need is an Internet-enabled device. Your data is safely stored in a cloud and you can access it from wherever and whenever. Despite the undeniable advantages of portability and cross-platform functionality, desktop applications almost always beat web based ones in areas that matter the most. This is especially true if you are working with sensitive data, such as your clients’. 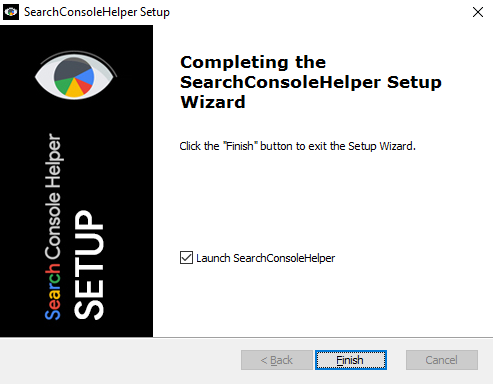 Search Console Helper doesn’t collect any of your web sites’ data. Instead, it saves them to your own computer. One of the touted advantages of online tools is that your data is stored “in the cloud” and, therefore, accessible from anywhere in the world. While that statement is true, you should also consider that anytime your (or your clients’) data is stored outside of your reach, you loose control over its safety. Unfortunately, not even the biggest companies are immune against theft. The recent case of Yahoo! admitting that information on 1 billion user accounts was stolen by hackers (yes, that’s a billion with a b) only proves my case. The news are full of similar stories from even the most “secure” of companies. Compare that to having all your data safely stored on your own desktop machine. Only you know it’s there and only you are in control. Sure, a good hacker can hack into any machine they want. But, first, they would need to know where to start looking. Furthermore, a good desktop application doesn’t need Internet access to work properly. So, you can even disconnect your machine from the Internet and work offline, fully protected. Not only will you sleep better, but your clients will thank you for it. Anytime you sign up for an online tool, you are required to fill out lengthy forms, full of private and sensitive information. And, when you use that online tool, almost every keystroke of yours is logged and tracked… because, you know… it’s for your own good. What happens to that data? But, how can you be sure that it is not being used against your interest or (at worst) directly sold to your competitors? Yes, you and your data are protected by the terms of service you agreed to. But, we both know, having your private information misused and proving in court it was the case, are two completely different things. On the other hand, good desktop tools are pretty much completely private and anonymous. You don’t have anybody “watching over your shoulder”. Nobody is recording your every keystroke. With desktop tools, it’s only your business what you do with it and nobody has to know. 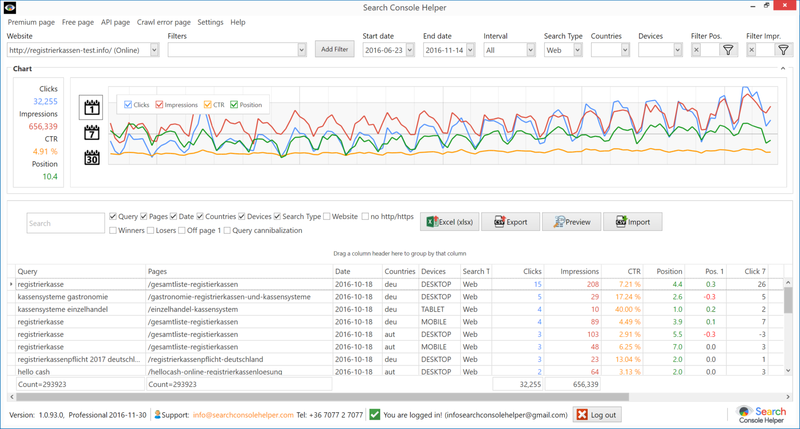 Working with data in Search Console Helper is super-fast. How many hours of your productive time have you wasted by waiting for the hourglass to stop spinning or for the loading bar to fill up? 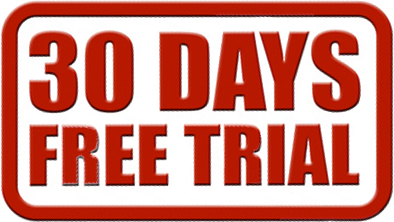 How many times have you wondered, as you are waiting for your data to load, if your monthly subscription is worth it (hint: if this happens to you frequently, it probably isn’t). Every time you want your online tool to do something—run an analysis, sort your columns from largest to smallest, filter a URL, etc.—your request needs to travel to the remote server (sometimes, thousands of miles away). There, the command needs to be executed. And, finally, the result of your request needs to be sent back to your computer. Even with the fastest Internet connection and the most powerful data center resources available, this takes time. When you count in the unavoidable delays in Internet connectivity, possible high loads on your provider’s servers, the waiting time goes up exponentially. Even in the best case scenario, using an online tool costs you hours of wasted time on a monthly basis. Compare that with the speed of a desktop tool that is only limited by the speed of your own machine. The distance your data needs to travel is measured in inches rather than miles. There are no down times, no outages and no lags. Under normal circumstances, working with a desktop tool is faster by several orders of magnitude. 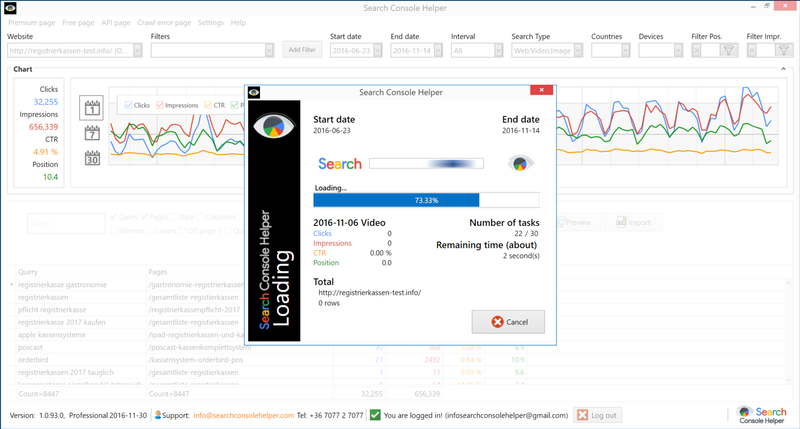 In fact, we’re willing to bet that Search Console Helper is faster than any comparable online tool out there. If you find an online tool that is demonstrably faster, we will refund you any purchase you made with us, plus treat you to a nice dinner. 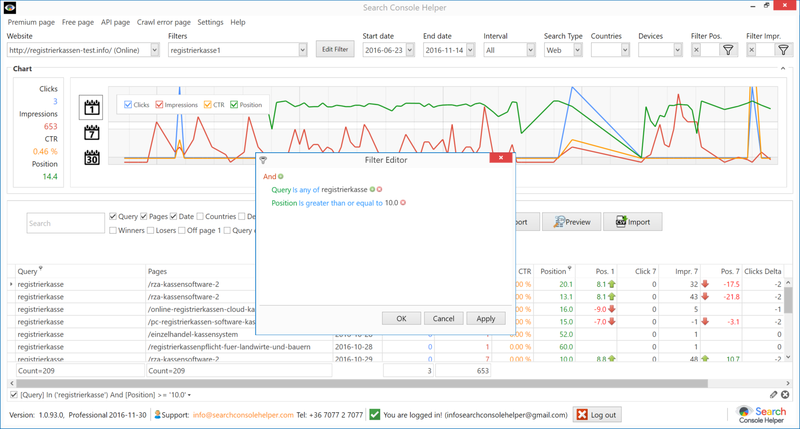 Search Console Helper is an independent desktop software. How many times were you unable to use your favorite online tool because it was down for “Maintenance”? What can you do, once that happens? Nothing, at all. The result are hours of wasted time and angry clients demanding to see the last week’s ranking reports. But, when the tool sits on your own machine, you can use it independently from any 3rd party applications. There is no wasted time and no frustration. With a desktop tool, your data is always available, because, YOU have the data, not your provider. You can search it, filter it and otherwise manipulate it, anytime you want. Nothing is lost and there is no waiting. You can export it, cut it and slice it, give it to your colleagues, prepare it for you clients, any (I mean ANY) way you desire. There is nothing you cannot do with data that is fully stored on your machine. Working with data inside Search Console Helper doesn’t require Internet connection. Yes, tools that pull data from 3rd party sources do require Internet connection, but only while they are requesting data. Once the data is loaded and safely stored on your desktop computer, you can continue working offline and you won’t even notice it. Desktop solutions are better because they are faster, offer better privacy, better data safety and data storage, and can work independently from 3rd party providers. Consider that when you are about to buy your next SEO tool!